Using the Avios Peak and Off Peak Calendar to Your Benefit! Regular readers will know that Avios points can be transferred between British Airways and Iberia accounts with ease. As such, it’s always useful to know that the Avios peak calendar dates differ for each of the programmes, offering potential points-saving opportunities. During this article we’re going to be focusing on the differences between the British Airways peak calendar and the Iberia peak calendar to identify some possible arbitrage opportunities. We set out the BA off peak calendar and Iberia off peak calendar for 2019 below. They can be search for on the British Airways website here and Iberia website here. 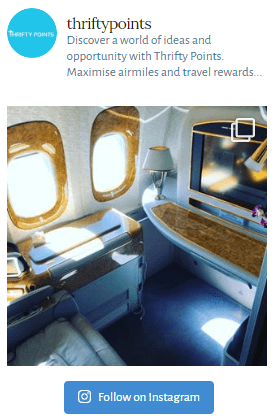 If you’re new to collecting Avios or would like to learn some tricks and tips then you may find my guide to redeeming Avios reward flights useful. The Iberia peak calendar doesn’t allow for the February half term whereas British Airways treats the 15th to 18th and 21st to 24th February as peak dates. Let’s say you were planning to fly to LAX on the 15th February and then back on the 23rd. This would set you back 150,000 Avios and a further £577 in taxes. However return flights from Madrid to Los Angeles would only require 102,000 Avios points and £209 in taxes. Allowing for the costs of reposition to Madrid (13,000 Avios and £35 in taxes) you’d be saving 35,000 Avios and £333 in taxes! This is a great example of why knowing the Avios peak and off peak calendar is so important – especially if there’s a family of 4 travelling! The Avios peak calendar for the BA Easter holiday extends from April 5th to 23rd however Iberia peak is only between 17th to 22nd with a couple of sporadic weekends of the 12th and 26th also included. The Iberia peak period over the summer however is considerably longer. The BA peak calendar for the summer is only 9 weeks verses the Iberia peak calendar of 13 weeks. You should also note that if you book an Iberia flight through BA.com you will benefit from the Iberia calendar. Similarly booking BA on Iberia.com will use the BA peak and off peak calendar. You should always book Iberia through Iberia.com as you will not be charged carrier-imposed charges (imposed by BA only) which can add up to a significant amount for long-haul flights as seen in the example above! Going forwards we’ll be updating this Avios peak calendar post every time the new British Airways peak calendar and Iberia peak calendars are released. The calendars showing both peak (green) and off peak (blue) for Iberia and British Airways are shown below.